In one way my road to becoming a travel writer has been very easy but on the other hand it took more than 3 years to get here. Although I did it as a hobby for 3 years and only then decided I would try to make a living off of it. First of all – what is my job? 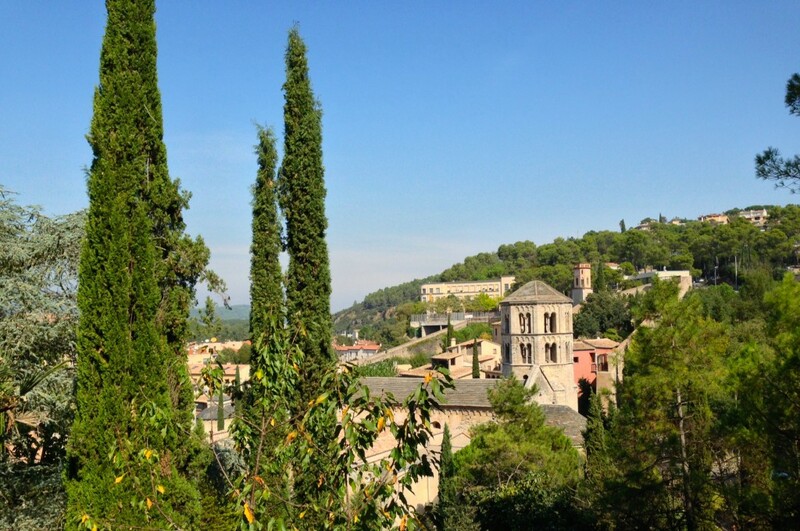 I’m a freelance travel writer for Skyscanner.se. I write articles with tips and inspiration in Swedish on Skyscanner’s Swedish website. I get paid per article and I have a very good communication with the person in charge, so I get to come up with as many ideas as I want and I also get help from her with things to write about. My relationship with them is really good and I love this job SO much! I also get jobs through my blog and Instagram. These are different project and collaborations every time so it can be everything from paid press trips and sponsored products to getting accommodation or tours in exchange for online exposure on my social media platforms. I’ve only just gotten started a few months ago so I’m far from rich. I choose more freedom over a lot of money. I could work a lot more and have more money but life is about more than money. As long as I can be free and am able to travel I don’t need more. Also, now I’ve quit all my other responsibilities like studies and working at a store. So now I can fully work on my travel writing since just a few weeks ago. It’s so exciting to see what the future will hold now that all my work is travel related. I had bought a weekend trip to the boyfriend I had at the time but we broke up before the trip so I went alone instead. First day was awful, but the next day I woke up with a smile on my face and this strong feeling of freedom and that’s when I fell in love with traveling alone. The first thing I did when I got home from that trip was to book another solo trip for just a couple of weeks later. And that’s how it continued. Traveling somewhere once a month. My instagram was filled with travel pictures and quite quickly I started having strangers follow me. Girona, Spain. Where I went on my first solo trip. A lot of people were asking me if I had a blog and more people many told me I should start one. 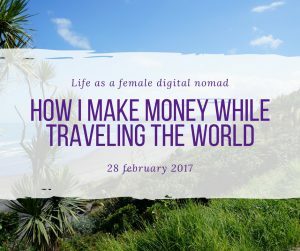 I had been blogging earlier in my life so I do enjoy it and after coming up with a unique name that represented me and my travels I got my own website and started blogging and also changed my name on Instagram to earthwanderess. 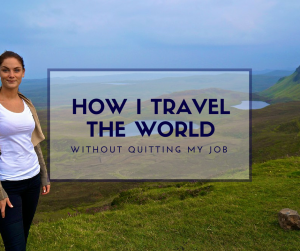 In the beginning I had this idea that I wanted to make it big because my dream the last year had been to be able to travel full time and make money from sharing my stories. 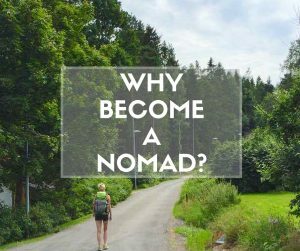 But having a job, boyfriend and traveling often, there was little time and energy left for the blog so it was often left alone with nothing written for a long time. 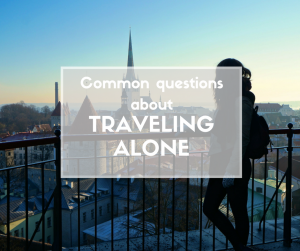 Traveling was the joy of my live so I kept on traveling a much as I could and in 2015 I travelled more than ever before, visiting 20 new countries in one year and also revisiting some places I’d been to before. So I had plenty of stories and pictures to share, but little time so it continued just being a hobby, except for my Instagram which I’ve always keps updating, and that kept growing. Travelling once a month just wasn’t enough for me. I hated having to go home so often. Back in Sweden I was working and counting the days till my next trip. My Instagram was now in its thousands and I decided, I was gonna travel full time no matter what I had to do. Taking jobs as I went and working on growing my Instagram and start taking my blogging seriously. Not even a week later I got a message from a tour company that wanted to do a collaboration with me out of the blue. 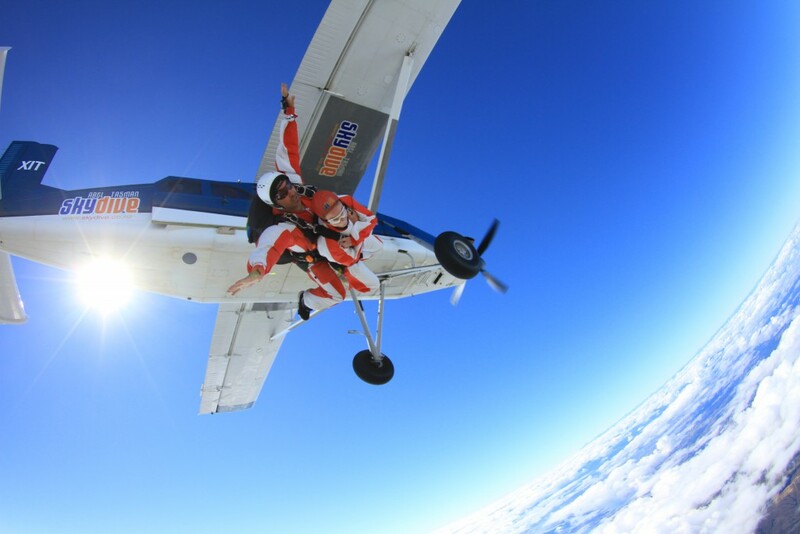 A leap of faith. Telling my boss I am quitting and start to plan for traveling full time. I had posted a picture on my Instagram where it said I was soon going to Rome, Italy and then to Bucharest, Romania. A guide from Romania saw this and messaged me about doing some sort of work together. It turned out to be one of my best trips ever and Romania became one of my favourite countries in the world. Here’s a video from the trip. So I said yes yes yes straight away, right? Nope. Although the company is great, I use and prefer one of their biggest competing companies, so I sent an e-mail to the people in charge of that area of the company I use and prefer, Skyscanner. 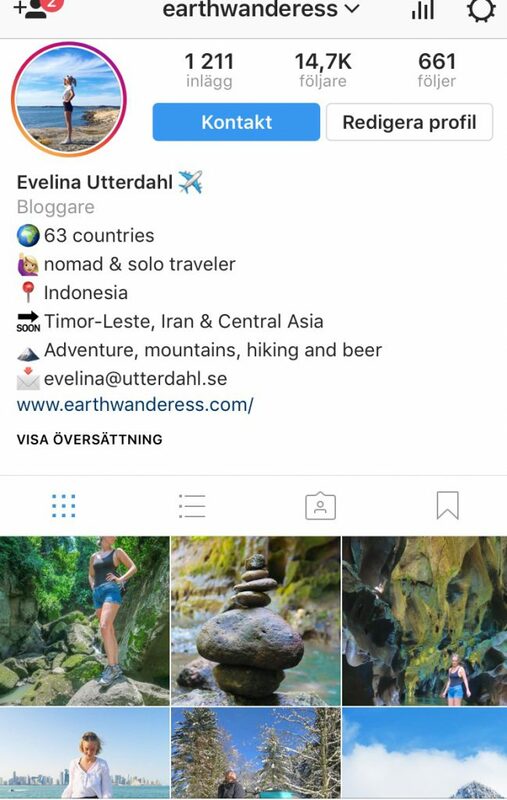 I had already done a couple of small takeovers of their Swedish instagram accounts and had met them on a small mingle meeting with Swedish travel bloggers they had invited me to a month or two before this so I had their direct e-mail addresses and they knew of me, which made it easier obviously. I told them about the job offer I had gotten but that I use them so I would much rather write for them as I can be honest about how much I love my job etc. They said they would be happy to have me. Some discussions later I was officially a freelance writer with Skyscanner as my client. 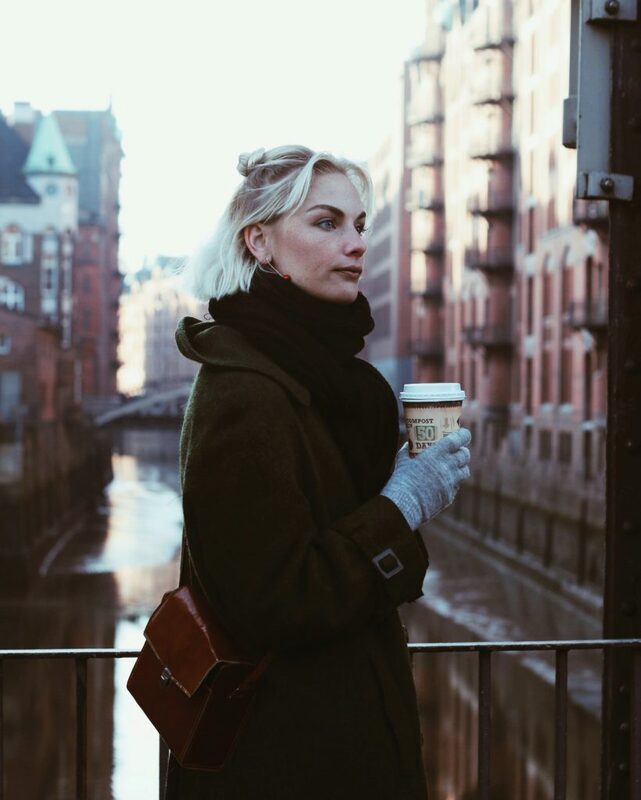 On my first press trip – Hamburg, December 2016. I recently came across your Instagram and subsequently your blog and I absolutely love it! 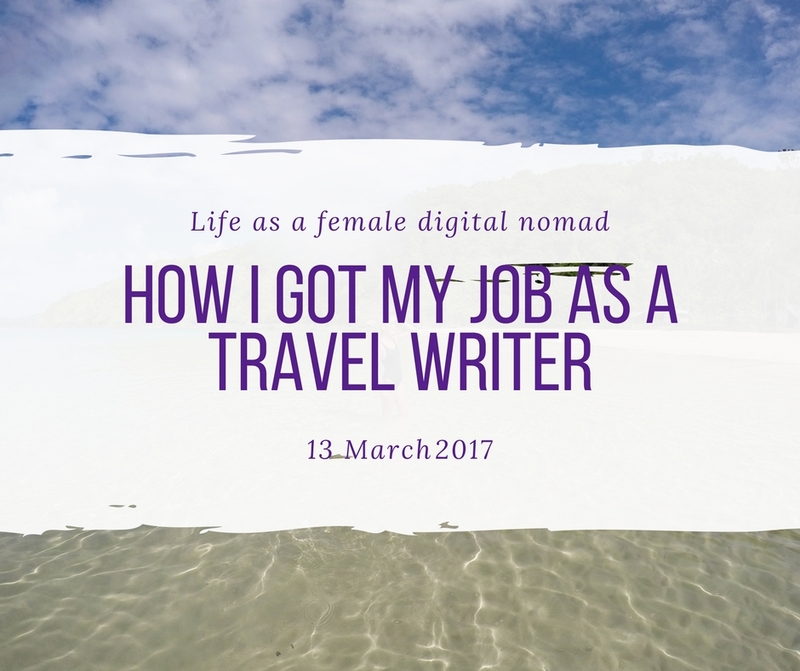 In following your globetrotting journey, I feel that not only do you present a realistic portrait of the highlights and challenges of being a female solo traveler, you also manage to do so while maintaining your authenticity. We’ve recently started a site called StampedTribe that is seeking to create a community of real travelers that share their stories and experiences. We are working to crowdsource trip outlines and travel knowledge that will enable people to feel empowered to travel and we would love the opportunity to partner and learn from you! Let me know if you’re open to a conversation. Looking forward to hearing from you! 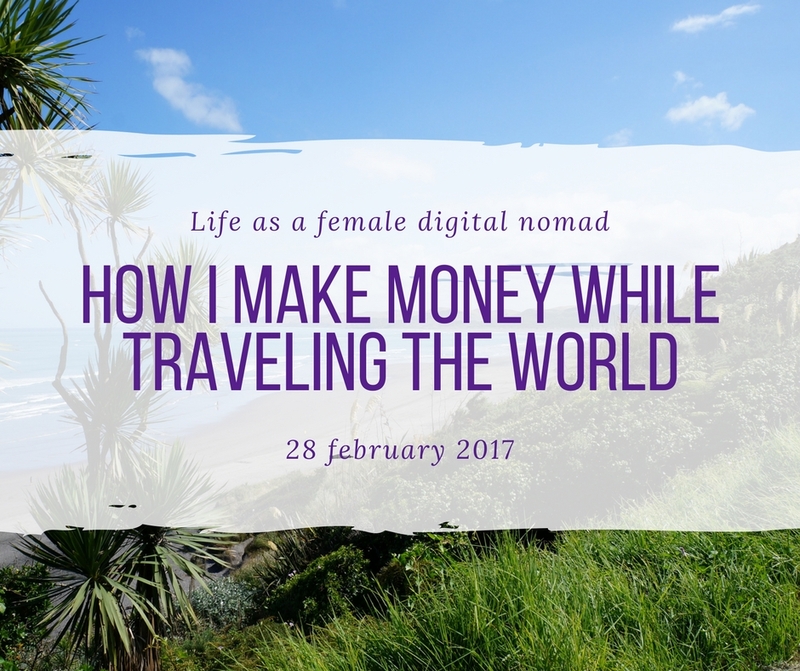 What an amazing and inspiring blog post. I have started my blog less than a year and hope to be doing the same thing. your writting and pictures are amazing.